With SYSPRO, you gain more than a software solution. You get a global team of industry experts committed to ensuring your success. We make our software easy to use, simple to understand, intuitive, engaging and always available. The focus on user experience means making that software straightforward and easy to customize for a user’s specific role and business process. At SYSPRO, we’re passionate about bringing simplicity, innovation and partnership to the heart and soul of business—the people who run the solution. Companies using SYSPRO gain more than a software solution. They are able to leverage 40 years of manufacturing and distribution expertise. So whether your key insight is lot traceability, raw material costing, or specific to your industry, we have the know-how to partner with you in enabling that insight in a way that moves business forward. As your business grows and processes change, you need a flexible system that can easily adapt and scale. More importantly, you need a team of industry experts that can be your best practice advocates. The SYSPRO ERP product suite is designed to be agile, responsive and on the forefront of innovation, giving you a solution – and a team – you can rely on for the long-haul. As a privately-held company, SYSPRO has only one stakeholder: our customers. Because of this, innovation and continued improvement in the software is based on the feedback and request of our customers. Our customers can rest easy and trust that SYSPRO has their best interest in mind when determining the product roadmap, and not that of a private equity institution. Unlike other vendors, the SYSPRO ERP product is not a complex combination of different applications loosely stitched together following mergers and acquisitions. 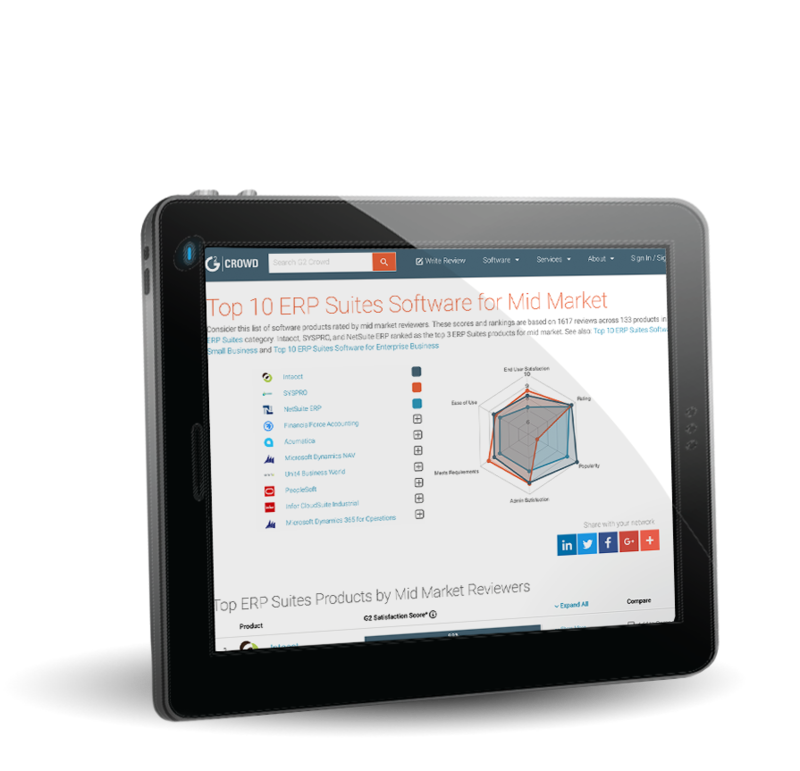 SYSPRO ERP has a solid, single-code base. That means we provide a unified, tightly knit platform, and you can be confident everything will work together seamlessly. SYSPRO ERP was developed from the ground-up on the Microsoft .NET platform, which means you can easily connect with your third-party systems and existing infrastructure to maximize productivity. We also provide strong mobile solutions and emerging technologies to keep our customers at the forefront of their markets. We want you to use SYSPRO ERP in the way that works best for your business and understand that business software isn't one size fits all. We have designed SYSPRO ERP to be modular, so you can save money by deploying just what you need upfront, and then add functionality as you grow or decide to expand the solution. We also provide the flexibility for you to deploy in the cloud or on-premise. SYSPRO focuses on making our software work in your operation while solving complex business challenges with a simple approach. For some of our customers, this has meant designing new functionality. An example is our Material Yield System for sustainability and reduced waste, or our Container Tracking capability that helps customers with their overseas distribution logistics. Don't let your individual business challenge deter you from choosing a system if you aren't sure whether or not ERP can help you. At SYSPRO, there's always a solution. We realize your ERP system is at the core of your business, so the issue of ensuring sufficient oversight and control of transactions and operations becomes critical. SYSPRO ERP offers robust features and multidimensional security levels to manage your software – and protect your intellectual property. Our goal is for customers to realize ROI from their ERP implementation as fast as possible. That's why we developed the award-winning IDEAL implementation methodology which provides a roadmap to success. Decades of industry experience and supplying manufacturers and distributors with best practices makes us a full-solution provider, not just a software developer. SYSPRO ERP software is designed to address industry-specific challenges for manufacturers and distributors. Software tailor-made for addressing everything spanning operations, finance, IT and the executive level. Whether you’re migrating from a home-grown solution or you’re on a cloud solution without the depth of functionality you require, we help you gain the right technology fit. Whether you want to deploy in the cloud or on-premise, SYSPRO works with your individual business requirements and IT infrastructure.